The U.S. President's Emergency Plan for AIDS Relief, or PEPFAR, is the largest commitment by any nation to combat a single disease. 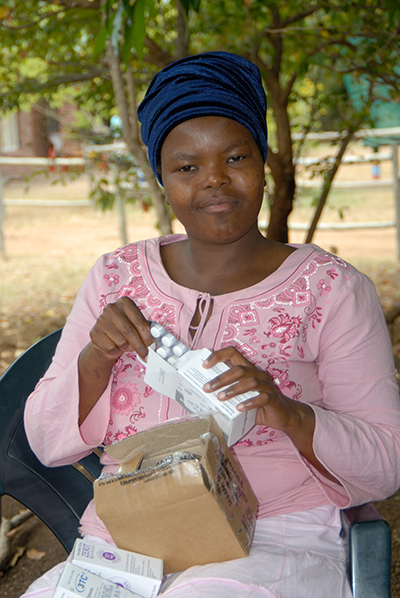 When the first programs launched in 2004, many did not believe it was possible to deliver quality HIV treatment to people in remote, impoverished areas. Between 2004 and 2013, AIDSRelief, a consortium of organizations led by Catholic Relief Services, supported HIV care and treatment services for poor and underserved people in 10 countries across Africa, the Caribbean and Latin America. The program served more than 700,000 patients, including more than 390,000 who enrolled in antiretroviral therapy, or ART, through 276 health facilities. The program helped health workers diagnose, treat and prevent infections, and provided patients with the counseling and support they needed to manage their own treatment. At the same time, CRS and our partners trained local organizations so they could eventually run the program. A new report, commissioned by CRS, looks at four countries —Uganda, Kenya, Tanzania and South Africa—and highlights how our local partners have successfully implemented antiretroviral therapy projects since transitioning from the AIDSRelief program 2 years ago. AIDSRelief set the stage for their success by improving accounting practices, electronic patient databases and hospital pharmacies. Each of the countries profiled in the report faced transition challenges. But patient enrollment on ART has increased by 30%–40%, and retention and mortality rates have been maintained. Learn: Read more about the AIDSRelief transition in our Media Center. Learn: Read more about the AIDSRelief Final Report here. Give: Support CRS health projects around the world. Pray: Explore our prayer resources.